Yukiya Amano is Director General of the International Atomic Energy Agency. The IAEA, an intergovernmental organization based in Vienna, is the global centre for cooperation in nuclear applications, energy, science and technology. Established in 1957, the Agency works with its Member States and partners to promote safe, secure and peaceful nuclear technologies and prevent the proliferation of nuclear weapons. Mr. Amano served as Chair of the Agency’s Board of Governors from September 2005 to September 2006. He was Japan's Resident Representative to the Agency from 2005 until his election as Director General in July 2009. 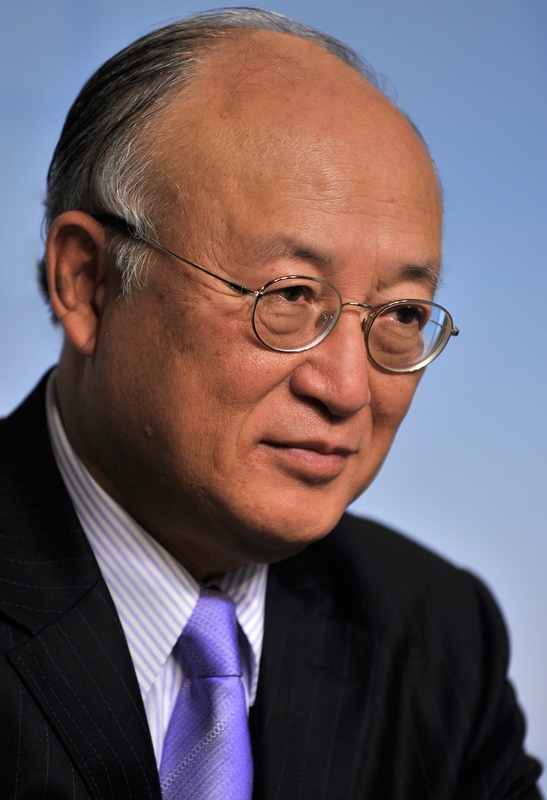 He assumed his duties as IAEA Director General on 1 December 2009. He has extensive experience in disarmament and non-proliferation diplomacy, as well as nuclear energy issues. At the Japanese Foreign Ministry, Mr. Amano was Director-General for the Disarmament, Non-Proliferation and Science Department from 2002 until 2005. He previously served as a governmental expert on the U.N. Panel on Missiles and on the U.N. Expert Group on Disarmament and Non-Proliferation Education. Mr. Amano contributed to the 1995, 2000 and 2005 Nuclear Non-proliferation Treaty Review Conferences, and he chaired the 2007 Preparatory Committee for the 2010 Nuclear Non-proliferation Treaty Review Conference. A graduate of the Tokyo University Faculty of Law, Mr. Amano joined the Japanese Foreign Ministry in April 1972, when he began a series of international postings in Belgium, France, Laos, Switzerland, and the United States. Mr. Amano was born in 1947, is married and speaks English, French and Japanese.